1- Steep Learning Curve For Marco Silva: If Portuguese gaffer Marco Silva is to graduate from a wannabe to a superstar manager, he must improve his appreciation of his team and players. Silva must surely know better than anyone else that for all the money Farhad Moshiri has invested in Everton, you can’t play such an open game against a Tottenham Hotspur side that is so lethal on the counter. Colombian centre-back Yerry Mina and Idriss Gana Gueye were absolute musts for the game which reflected so badly on his CV. 2- Leicester Better Than League Position: It’s hard to believe Claude Puel went into the game at Chelsea with just two victories in ten fixtures. The Foxes have one of the best ten Premier League squads. Harry Maguire, Ben Chillwell and James Maddison would, for example, vastly improve a Chelsea squad short on raw pace and power. Maurizio Sarri must consider a swap involving cash + Gary Cahill for Maguire. Maddison would also be an ideal replacement for Cesc Fabregas, whose contract expires in the summer. 3- Palace Needn’t Overly Rely On Zaha: Eagles boss Roy Hodgson is an embodiment of the adage that age is just a number. By masterminding the 3-2 upset win over Manchester City, the septuagenarian former England manager pulled a fat rabbit out of the bag. Andros Townsend was the undisputed star, rendering Palace’s reliance on Wilfred Zaha a nullity. With such tremendous organisation and foolproof team structure, Palace can forever banish their dependence syndrome. 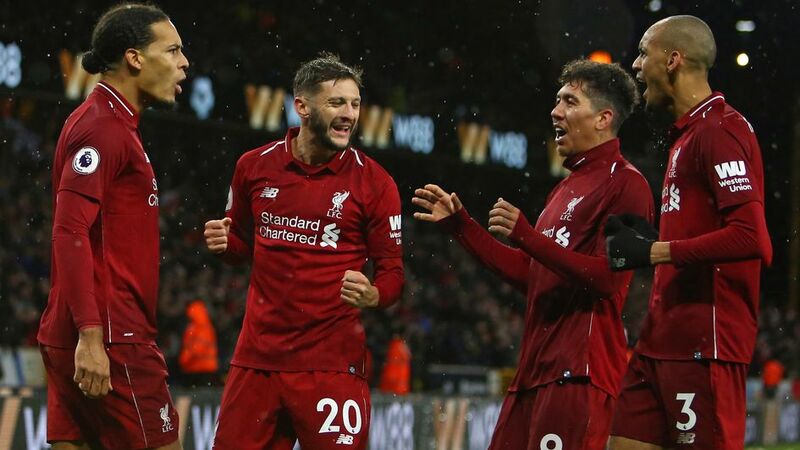 4- Time Ripe For Kop To Break Title Jinx: Liverpool are Christmas champions for the third time in the Premier League era. Manchester City’s losses to Chelsea and Crystal Palace are like Manna falling from heaven from the Kop faithful. Manager Jurgen Klopp is certainly equipped to better predecessors Rafa Benitez (2008/9) and Brendan Rodgers (2013/4) who tripped on the home straight after being crowned Christmas champions. 5- Winter Break Inopportune For Bayern: Bayern Munich’s 3-0 victory over Eintracht Frankfurt catapulted the Bavarians into second place, behind pacesetters Borussia Dortmund and sent a message to the Signal Iduna Park side that they aren’t giving up their title without a fight. Against the background of Dortmund’s 1-2 setback at Fortuna Dusseldorf and the laboured nature of their victories of late, you have to say the winter break has come at an inopportune time for Niko Kovac’s champions.